The fourth in a series of interviews with women who have inspired Alison Cork. Here is Sarah Massouh - founder of Willow & Hall to talk business and style! Posted By Alan, 29th Jun 2018. 6 Minute Read. So tell me a bit about Willow & Hall and how it came about ? 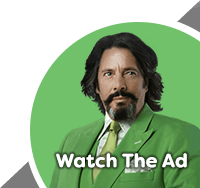 I used to work in the City, at Deloitte as a strategy consultant and I was there in my 20’s. But I wanted to have my own business and I started looking at ideas. I’ve always been interested in interiors and felt there was a real gap in the market to offer customers more affordable British-made products, sofas in this instance. The market has since grown quite a bit but at the time there weren’t many online retailers in the same space and they were probably targeting slightly younger demographics than what I saw the gap being there for. So I quit my job and built Willow & Hall over six months from my front room. In July 2015, we opened our first showroom in Chiswick and that allowed customers to come and see the product, but we’re very much an online business which allows us to provide better value for the customer. Everything is still designed by me, so I sketch the designs and sign everything off for manufacturers, but everything remains British-made as we keep the manufacturing in the UK, staying true to the essence of why the business was originally set up. What are the big goals in 2018 for Willow & Hall? We’ve got a lot going on as always! I’ve just been finalising our new fabrics, we’re completely revamping them. We currently have 130, but we’ll have around 180 fabrics. We’re updating quite a lot of it, so there will be a lot more velvet, a lot more pops of colour. That’s taken around 2-3 months working with different people, we’re also producing a heritage collection that has come from working with traditional English mills along with some exclusive lines too. We’re hoping all that will launch around mid-June. Last year we launched around 88 new products, which was a huge investment and a huge amount of time so this year is less about adding more products and more about how we’re offering those products and building value into the proposition. She reached out and asked for advice about logistics providers, so we built a bit of a rapport around that and then we started to talk more about mentoring women. Alison does a lot on the whole idea of women in business and I mentor a young British fashion designer, who showed their collection at Paris fashion week this year. I’ve supported her from business conception to materialising that into an actual business, I’ve enjoyed doing that and helping someone else out. Alison has asked me to speak and be on a panel, so I said absolutely. I’d love to do that and inspire more women to move forwards with their ideas. I’m always happy to get involved with an initiative like this and help women, I think that’s important. I had never worked in the interiors sector at all, everyone always assumes you start a business based on what you’re currently doing, and people ask if I worked in design or interiors before starting Willow & Hall. I hadn’t, but I had my business acumen. A lot of people can say to themselves ‘Oh I can’t do this because I haven’t worked in that market or oh I don’t have a good understanding of that market’, but I don’t think that you need to know an industry inside out, as long as you go in with a good ‘business head’ on your shoulders and know what you want to do and what the gap in the market is. You need to accept that you’ll make mistakes, but you’ll also learn a lot from them. We moved house last year, and the house before was Edwardian so the way it was decorated was based on that, more on the classic side of things, I’d maybe classed it as Victorian but with a slight French twist. I’m currently designing the interior of our new house, it’s going to be a lot more plush velvets, pops of colour, massive modern artwork on the walls, completely different to our previous house. I tend to let the house direct the style and then I work within that. 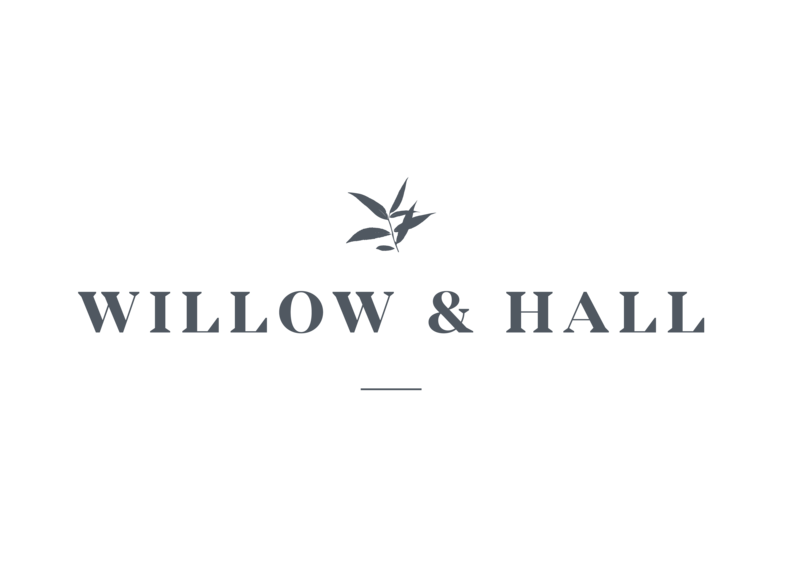 Willow & Hall is an online retailer offering British handmade furniture, including sofas, space-saving corner units, stylish ottomans with hidden storage space, and all sofa beds come with a choice of three luxury mattresses. All items are made to order, available in 130 fabrics, and can be delivered in just 4-5 weeks, with free delivery nationwide.